It doesn’t matter if you call them hotcakes or flapjacks; they are still pancakes to me. 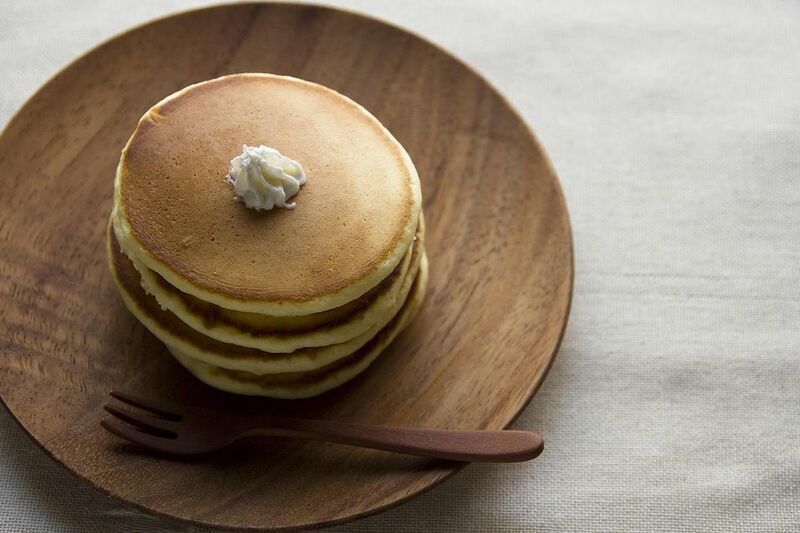 Make your family some homemade pancakes for breakfast today. It is much easier than you think just follow these step by step pancake making instructions. You just need a few ingredients to wow your friends and family. In a large bowl, combine dry ingredients with wire whisk. In a small bowl, with an electric mixer, combine eggs, milk and oil. Slowly add wet ingredients to dry ingredients. Hand mix only until large lumps are gone. Heat the pancake griddle or large frying pan. Lightly grease the pan. Use a 1/4 cup measuring cup to pour the pancake batter in the pan. It should form round circles of pancakes. Bake them in the frying pan until bubbles appear around the slightly brown edges. Flip the pancakes and cook them for a minute or so longer. This recipe makes about 16 4-inch pancakes. Pancakes can be served with more than just butter and syrup. I like mine with butter and jam. Another way I like pancakes is made with blueberries and topped with blueberry syrup. You can add blueberries or any other fruit to your pancakes. Just add 1cup of fruit to this recipe. Mashed, ripe bananas are another good choice. To make you pancakes even more special, make your own syrup to go with them. This is one of those recipes you’ll make year after year. It’s so versatile. Choose a different fruit each time and you’ve got a different oatmeal recipe. It’s so good; it’s almost like eating dessert for breakfast. Here’s another recipe that the fruit chosen is up to you. You can make most of this recipe the night before. Fruited French Toast is good on normal day as well as on a day when you’ve got company. Waffles are just like pancakes only they have a grid pattern and lots of wholes that you can put more butter and syrup in them. Cute waffle makers are much more affordable these days. You may wish to purchase a Mickey Mouse or a Star Wars’ Death Star to shape your waffles. You can even purchase the ones that flip over like the ones found on the breakfast buffets in most hotels. Crepes are very popular these days. We just butter and roll ours up the sprinkled sugar or strawberry jam. The serving options with crepes in limitless. There are food trucks that serve crepes filled with hazelnut butter like Nutella.